Collected for the first time in one volume.How does money--or the lack of it--affect our lives? What happens when the rich meet the poor, when status comes with a price tag, when personal desires do battle with financial concerns? 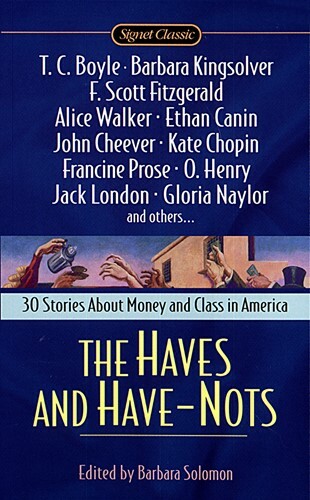 This unique anthology offers a mosaic of answers, with stories by: * Francine Prose * F. Scott Fitzgerald * Jack London * Kate Chopin * Ethan Canin * Gloria Naylor * Sandra Cisneros * O. Henry * Theodore Dreiser * Stephen Crane * Kate Braverman * James T. Farrell * Charlotte Perkins Gilman * and many others.